Does Brexit have a hand in my Pharmacy chaos…………? | Which me am I today? Does Brexit have a hand in my Pharmacy chaos…………? 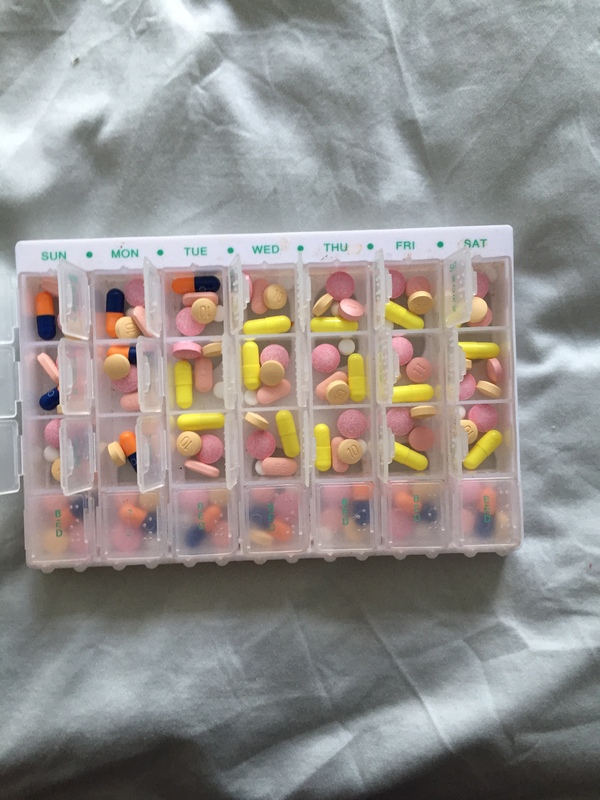 Last week I picked up my monthly prescription of tablets in order to fill my pill box. It wasn’t until I got home that I realised they’d given me a different brand than usual so colours, shapes and packaging had all changed……..
From my frustrated tweet, which said how I really wan’t sure whether I’d put the right pills in the right boxes….. came so much conversation, Debate, concern and advice……I LOVE twitter for this very reason. Anyway when I asked the previous pharmacy about packing them for me they said they couldn’t put Donezepil to be taken in the morning as the information they have says to take it at night…….But if I take it at night it makes me have weird dreams so I take it in the morning – no more weird dreams but it means chemists won’t help me, or the last one I encountered said it wasn’t possible. I now realise, from Twitter, that it might be possible for them to help me ………. So now I have a different chemist I never thought to check whether what the last one said was true……..until Twitter put me right……. The conversation on Twitter lasted right up until the following day with various people tweeting their thoughts. It also provided lots of discussion with people highlighting their issues. Others said how a busy chemist is unlikely to have the time to put the effort into caring about shape or colour as they’re under so much pressure. Others have said how their local chemist was so helpful and had time to listen to their needs……Crikey, I’d never even thought of a post code lottery in chemists……. So is that right too? 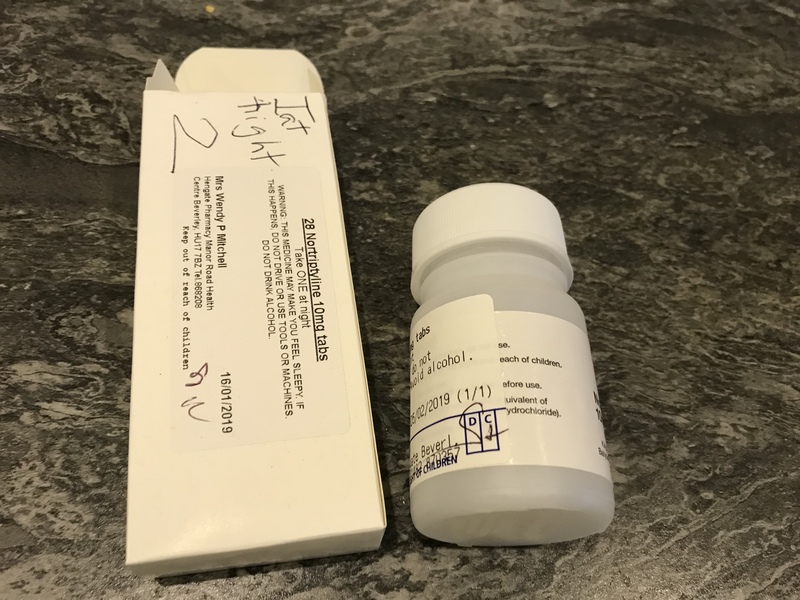 I know that if I allowed the chemist to pack them for me and they arrived looking different, then I wouldn’t trust they hadn’t made a mistake. How would I know? After all there’s humans involved in the process and humans make mistakes. So I’d feel continually anxious when I looked at my pill box. I have also always taken a high dose Vitamin B supplement so that wouldn’t go in the blister pack, and would need to be remembered separately. If I went on another clinical trial, those tablets wouldn’t go into the blister pack – another one to remember separately. And the bottom ones changed shape…. Maybe those who request through their Gp could have a note on file to say use the same brand maybe? Why can’t they all be see through so you can see what’s in it? I suppose pharmacists must have a way of knowing🤔 but it would make it easier if there was consistency in packaging. 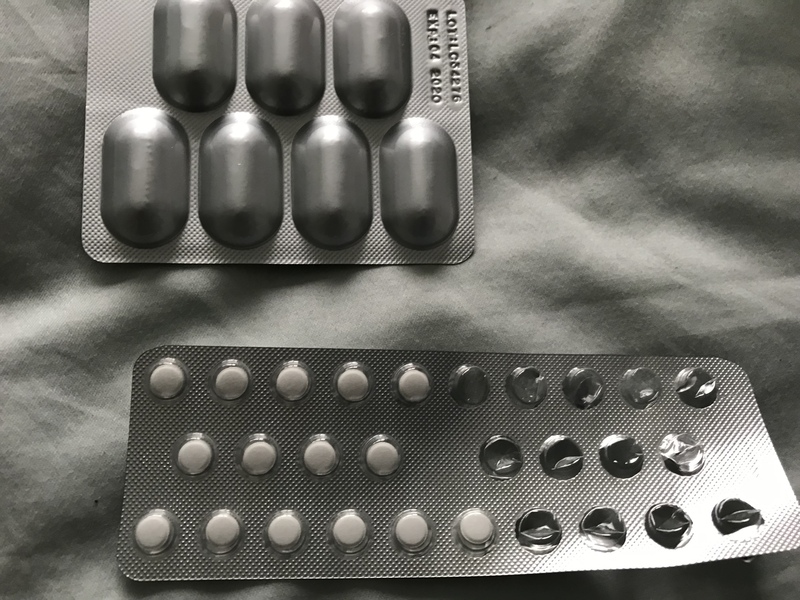 More confusion all in the same month……no wonder I didn’t know if I’d put the right tablets in the right slots! For anyone who needs it, could a note go on their file to say, ‘needs consistency of medication appearance’ or ‘needs large print’ or whatever? How do I find you on Twitter? 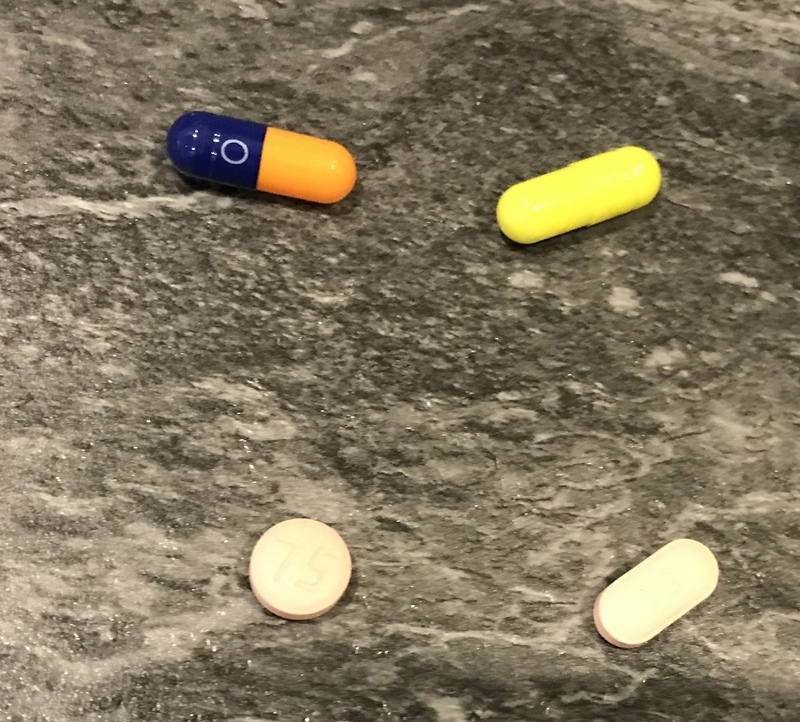 This has to be maddening for anyone who takes medication —there should be some instruction given when different shapes/colors are introduced but I imagine that just like in everything else there are good chemists who stay on top of things and help their patients and then there are the rest who are just filling scripts. I am glad you have the support on Twitter and some helpful suggestions to get you through this. I am so sorry this happened to you. My mum (90 in April) has her medication in a blister pack from her surgery but the days read downwards Monday to Sunday and they don’t deliver it until Tuesday lunchtime which means she doesn’t start taking them from the day at the top of the pack. Add to that the fact that they often forget to write the start date on the front and confusion reigns on a weekly basis. One week the start date on the front was the day before they delivered the pack! And then they wonder why she doesn’t always take her tablets. You are allowed to feel sorry for yourself! It does happen, but knowing you (only through your book and blog) you will soon feel better. You’re so optimistic! I’m physically a wreck, and my tablets are forever changing shape and colour! It drives me mad, because then I have to read all the packs all over again!!! My pharmacist says it’s whatever is the cheapest!!!! Thank you for your wonderful blog. It is so helpful. I have three friends with Alzheimer’s and you’ve really helped me in the way I interact with them. I just treat them the way I always have, and don’t take it personally when they don’t remember things. You’ve helped so much! Thank you again. Oh, Wendy, I share your problem and frustration with pills! I couldn’t open a child-proof bottle last time I got my pills. Dear Wendy. Whats a mess, and very difficult with your pills. Hope there is a solution soon. In the Netherlands they fear a shortagean change of medicins too because of Brexit. Yesterday i finished your book, i love it learned much from it. I think your great. Blessings from the Netherlands. Not Brexit. I have that problem in the Texas a lot. The pharmacy tries to get the best price and the pills all come from different pharmacies. The worst thing is to drop a pill and then find it later. Then you have to play detective to find out what it is! Pills? My favourite ‘pill’ is a Wendy blog! Keep us positively smiling dear lady! Hey there! As a pharmacist, I can state that we don’t have any control of the colours and the shapes of the medicine that is delivered to us, as they come from the warehouse directly to us. Maybe before you leave the pharmacy ask if the pharmacist can go through what each medicine looks like for your own piece of mind so you’re aware of what you’re taking?